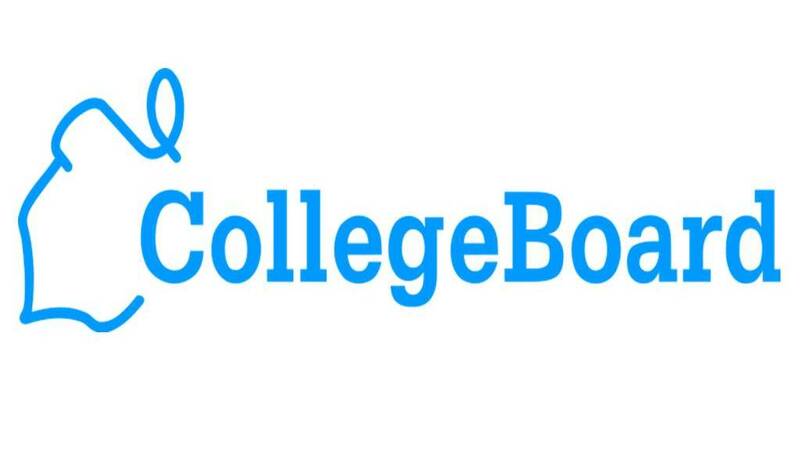 NEW YORK—The College Board has overhauled its request process for testing accommodations, making it easier for eligible students to receive the support they need on College Board assessments. Beginning January 1, 2017, the vast majority of students who are approved for and using testing accommodations at their school through a current Individualized Education Program (IEP) or 504 Plan will have those same accommodations automatically approved for taking the SAT®, PSAT™10, PSAT/NMSQT®, SAT Subject Tests™, and AP® Exams. Most private school students with a current, formal school-based plan that meets College Board criteria will also have their current accommodations automatically approved for College Board exams. This streamlined process builds on the College Board’s August 2016 expansion of testing accommodations that can be approved directly by schools without the need for additional documentation. Why are Subject Tests required by drastically fewer colleges than a decade ago? Is the relevance and popularity of the tests actually diminishing? Are the tests likely to survive or will they be discontinued by the College Board? The perceived necessity of College Board’s Subject Tests has been on the decline since 2005 when the SAT II Writing test was essentially folded into the SAT. Subject Tests are explicitly required (no substitutions or exceptions) by only five U.S. colleges, about 90% fewer than just a decade ago. Read more via this helpful Compass post. What Do College Counselors Do? Great post from the Princeton Review on college counselors—high school and independent. Give it a read to learn more about both! College counselors—both school counselors and independent consultants—can play a huge role in your college search. And when it comes time to apply and evaluate schools, both can help you make that all-important decision. Your school college counselor can be an invaluable resource! That said, the national average student-to-counselor ratio is 350:1. And if you go to a large high school with more than 2,000 students, your student-to-counselor ratio may be closer to 500:1 (Source: The College Board). Depending on the amount of face time they get with their school counselor, some families decide to hire independent college counselors to guide them through the admissions process. Whereas your school counselor can advise you on more than just college, independent counselors spend all their time on college counseling and tend to work with fewer students. Are you looking for strategic college advice based on your personality and goals? Our College Counselors will help you find, apply, and get accepted to your dream school. Get a personalized college admissions plan today! The redesigned ACT student score reports aim to contextualize students’ scores and offer details about students’ individual strengths and weaknesses. Unfortunately, these goals are impeded by the overwhelming volume of information included on score reports. This excellent post from Compass breaks down the exact contents of the student score report and explores how both students and parents can benefit from the information. Most high schools have at least one on-site college counselor to advise students on finding and applying to colleges. As the point person for your applications, college counselors keep you on top of deadlines and graduation requirements and ultimately send your official transcript to colleges. They can also help you find schools that fit you, identify dream/match/safety schools, complete your FAFSA, craft strong school-specific application essays, and help manage anxiety and stress. Depending on how much one-on-one time they get with their schools’ college counselors, some families decide to hire independent college counselors to guide them through the admissions process. I always tell parents who are thinking about hiring an independent college counselor to make sure that person is a member of a professional organization, like IECA or NACAC. Why? Because not all IEC’s are created equal. For example, IECA members have met the highest standards of the profession. IECA’s required qualifications include a master’s degree; at least three years of admissions counseling experience; and experience working with scores of students. IECA also requires extensive member undertake campus visits—members, on average, have visited over 150 campuses each—and continue to visit an average of 35 campuses annually. Whichever route you go, check out this Princeton Review article that outlines five (accurate) reasons you need your college counselor. You can also read more about IECs from IECA here, or from me directly during a consultation! There was a time when the self-confident undergraduate took a semester or two abroad to taste an unfamiliar culture and dip a toe into the waters of higher education on a foreign shore. Today, tasting is timid stuff. 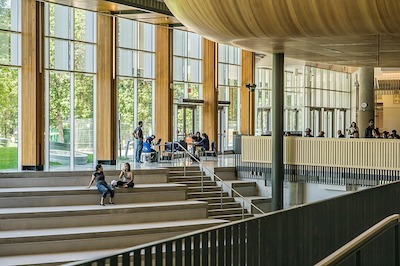 While graduate programs have long attracted international students, undergraduates are seizing upon the vast opportunities to enroll in foreign colleges for a complete bachelor’s degree. The number of options to do so is growing by the year. The online platform StudyPortals reports an estimated 5,670 English-language degrees in non-Anglophone countries. In Europe alone, 300 colleges and universities offer more than 1,500 English-taught bachelor’s degrees, according to Beyond the States, an international college adviser. The benefits of a thoroughly international education in the age of globalization are conspicuous. But the game-changer is that college abroad can save parents tens of thousands of dollars. In many countries, including Turkey, Thailand, Brazil, Iceland and some in continental Europe, college is either free or virtually so, with tuition less than a couple thousand dollars. Many other universities offer a bachelor’s degree for under $7,000 a year. A bachelor’s abroad isn’t for everybody. Students must be prepared to immerse themselves in the customs of an unfamiliar habitat far from home. It’s an endeavor for the intensely curious and resourceful, those who can adapt to systems that do grading, testing and instruction quite differently. Forget intercollegiate sports, frats and clubs. Even partying is not the same — less binge drinking, for example — and campus life, when there is any, isn’t as cozy. But the rewards are great, say graduates and educators, and recognized by employers seeking go-getters. Giovanni Hashimoto, a 23-year-old out of Washington, D.C., transferred to the University of Milan after two years at Pacific Union College in California. Though it took some digging online and follow-up emails, Mr. Hashimoto, who speaks no Italian, found what he wanted in the university’s English-language political science and economics program. With tuition at $4,000, he calculates he saves $20,000 a year studying in Italy. But, more critically, acquaintances in Washington’s world of public policy and politics, where he wants to eventually work, told him that a foreign degree “connotes a willingness to try things outside one’s comfort zone” and would work in his favor. Read about college options abroad in the UK, Ireland, Continental Europe, Australia, and Singapore here. Why I’ve Stopped Doing Interviews for Yale: Because the Admissions Situation is Crazypants. Ben Orlin is right, college admissions is crazypants. The Business Insider article that stemmed from his Twitter post is worth a read. Rejection by a university ought to feel like getting swiped left on Tinder,” he wrote. “There’s nothing terribly personal about it. The admissions office doesn’t really know you. The university is just looking out for its own interests, and you don’t happen to fit into the picture. Orlin’s hesitation to be a part of a process that results in near total disappointment for applicants is even more understandable when looking at Ivy League acceptance rates. For the class of 2020 the admission rate is below 10% for almost all Ivy League schools. He flips that number around to talk about how many rejection letters Yale doles out. No matter how sincere their intentions, the Yale admissions team is beholden to grim statistical reality: 94% of students are getting rejection letters,” he wrote. Orlin suggests that Ivy League admission decisions should be chosen by lottery, and have base requirements that students must meet before applying in the first place. Will it happen? No. But something needs to be done. I do not rely much at all on “rankings” but since many families like to take a look at them, I thought I would post the latest from US News. These institutions from the U.S. and around 60 other countries have been ranked based on 12 indicators that measure their academic research performance and their global and regional reputations. Students can use these rankings to explore the higher education options that exist beyond their own countries’ borders and to compare key aspects of schools’ research missions. These are the world’s top 1,000 universities. Looking for a way to enhance admission odds? College Kickstart compiled a list of schools with early decision admission rates that are at least twice as high as their regular decision admission rates.